El Reboso, your refuge in La Santa. Bright and detailed housing of two bedrooms, fully equipped for the enjoyment of up to 5 people comfortably. Sea views, 20 meters from the seafront and with a spectacular terrace to experience the ocean with intensity and relaxation. The prosperous village of La Santa is located on the northwest coast of Lanzarote and is a nerve center for all kinds of sports and, especially, surfing. Here, the waves and tides are strong, which attracts more experienced surfers who can master them. It is quite a sight to watch these guys and a good way to make great snapshots. This town is a quiet place with a pleasant avenue that leads to a small port, where the fishing boats give a genuine and picturesque touch. It also has some good restaurants where you can enjoy a tasty meal. 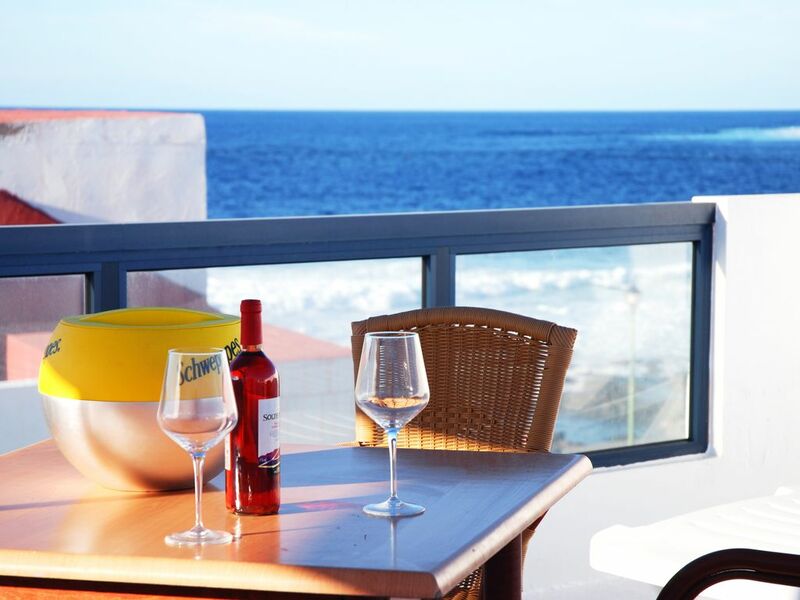 La Santa is highly recommended if you are looking to spend a day watching spectacular views of the coast, a beautiful town and experienced surfers, seasoned with a great seafood cuisine.